When it comes to Halloween, you can bet Colorado is packed with Festivals & Parades to enjoy! Event run throughout the Halloween season, and many of the attractions are packed with fun, scary adventures to explore with friends and family. 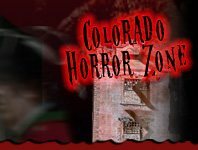 Find out all the fantastic Halloween activities and events taking place in Colorado here!